Does anyone remember the uproar that happened when Martin Scorsese released The Last Temptation of Christ? Or equally when Mel Gibson realised his own Biblical epic, The Passion of the Christ? “What if” stories about the life of Jesus Christ are always a bit risky, which is probably why we don’t see an awful lot of them knocking around. The Alphabetti Theatre aren’t averse to risks though and are more than willing to tackle the weightiest of subjects with deft. Thus, they’re presenting their own Bible-based “what if” story, set in the modern day. The premise behind Resurrection Half Price is simple: what if Jesus and Mary had been born again today and were addicted to sales? Sure, prices were probably a lot cheaper 2000 years ago, but I’m sure Mary would have had a much more comfortable time if she could have ridden an ambulance to the maternity ward and stayed at the local Premier Inn. But, as ever, there’s a bit of a deeper, more philosophical drive behind the production. It asks us to question how far we’ve really evolved and if we’re really any better off than we were 2000 years ago. Whether you’re a believer, an agnostic or an atheist, you’re sure to find something to enjoy in this thought-provoking production. 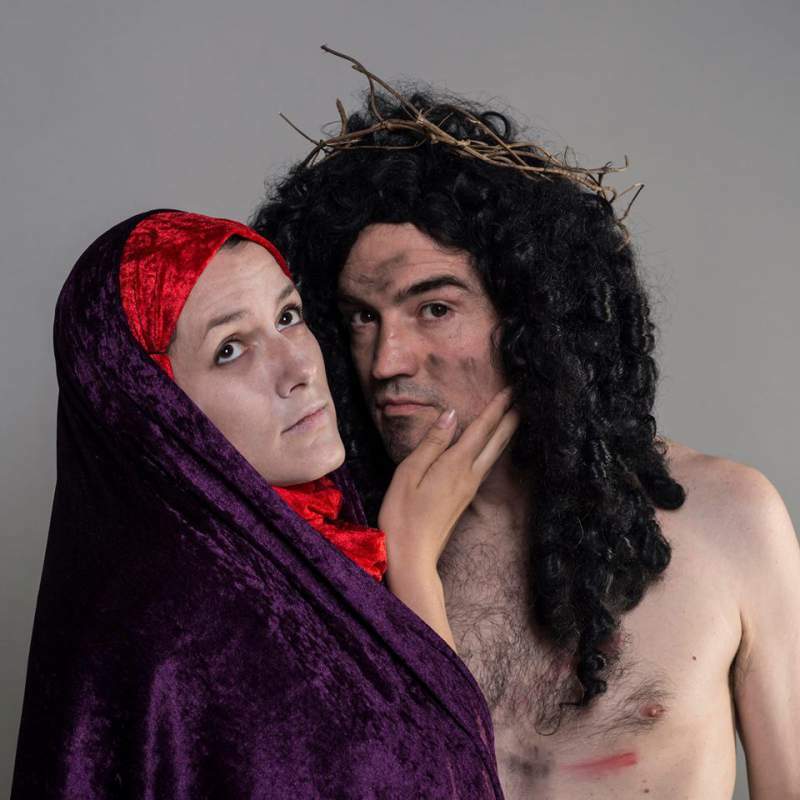 Resurrection Half Price comes to the Alphabetti Theatre, Newcastle on Wednesday 3rd June.